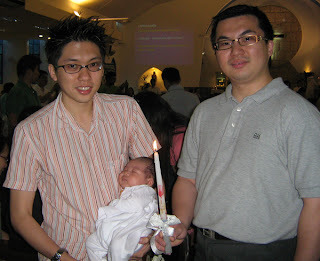 On 26th August 2007, Ziv was baptised @ St. Anne Church. 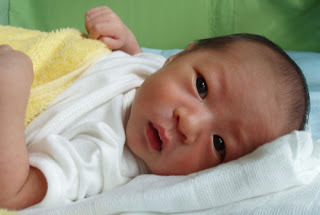 Picture taken with his Daddy and God-Father (Kevin's cousin). 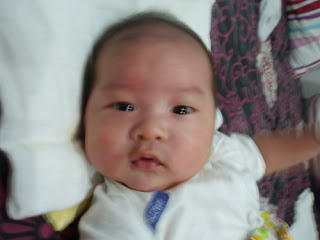 Ziv certainly puts on alot of weight, especially those baby fats! 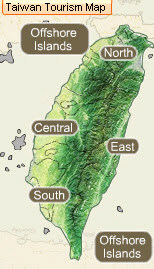 My perception of Taiwan, it should be a place with good food and shopping paradise. But I am wrong, nonetheless, this trip is just a 'de-stress' trip, so I just close one eye. One thing worth mentioning is their museum, unfortunately, the tour guide allocated very little timing for us to tour the museum. 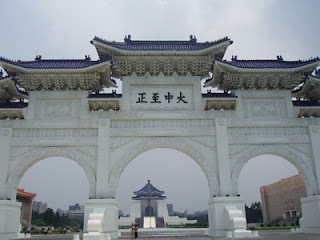 Conclusion, Taiwan is the kind of country where you will go once and that's it, unlike America. Compared to the one at San Francisco (if I am not wrong, I have forgotten), this is nothing. There's nothing special, or anything to take picture of. Anyway, here's a pic taken at the 'nicest' part of Fisherman's Wharf. Oh yah, it smells too! Yikes. No photo taken in the hot spring area. :( There are 15 pool area for us to dip. The place is almost deserted probably because its a weekday. Good for us, cause we don't have to share the pool with others except our fellow tour mates. 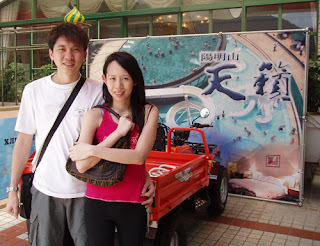 Here's a pic taken at the entrance of the hot spring park, after a rejuvenating dip. 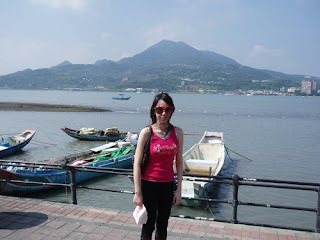 The good thing about Taiwan is, almost where-ever you go, you definitely can see mountains and nice scenery. That is the view we see, when we went for outdoor spring bath. 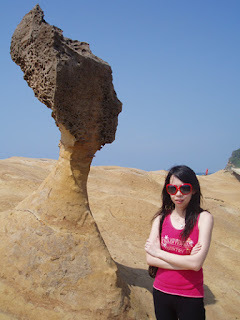 It is said that the rock layer of seashore contains sandstone of limestone texture that is subjected to sea erosion, weathering and earth movements, therefore resulting in particular scenery consisting of sea trenches/holes, candle shaped rocks, and pot shaped rocks. There's a famous rock there, that looks particularly like a Queen's head, resembles one of the faces of a Hong Kong coin. There's nothing to buy there except some souvenirs. I bought my dad a calligraphy pen. Unfortunately they are closed cause the Taiwan government were afraid that people will vandalise the area since their election is round the corner. So it is as good as we never been there. A temple where students and soldiers will go and pray. We dropped by Taiwan tea center, there's nothing much there, we tasted the Hakka 'Lei Cha' which apparently is also available in Singapore. 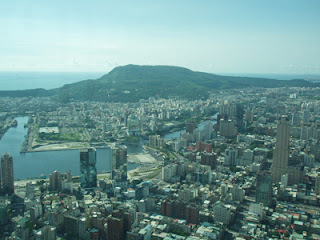 Before Taipei 101, Kaohsiung 85 Building located at the Grand Formosa Kaohsiung is the tallest structure in Taiwan. The viewing deck is on the 75th floor, provides spectacular panoramic views over the city and harbor. 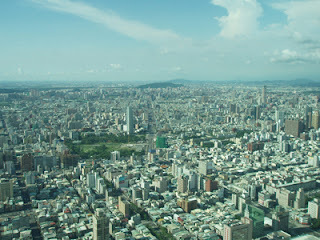 We went up to the viewing deck to enjoy breathtaking view of the entire Kaohsiung. 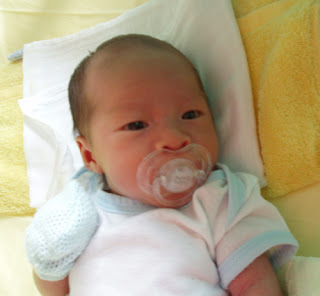 Similar to Singapore River, the Love River was previously badly polluted with odorous smell due to pollution of industrial and house drainage. Taiwan government spent lots and lots of money and years to restore the entire river and now it becomes one of the sightseeing location for the tourists. We also sat on the sightseeing boat to cruise along the riverbank of Love River. One of the many night makets we went to. The stuff here is selling pretty cheap. I would say cheaper than Taipei. A walk through the Tunnel of Nine Turns takes about 30 minutes and gives access to enchanting scenes of the gorge, the river, stone strata, the tunnel itself, and the surrounding vegetation. More stones and mountains sightseeing. The National Palace Museum houses the world's largest collection of priceless Chinese art treasures, which spans China's nearly 5,000-year history. Most of the museum's 620,000 art objects were part of the Chinese imperial collection, which began over 1,000 years ago in the early Sung dynasty. Reallly worth seeing!! 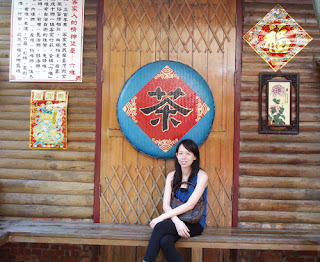 Apart of those places mentioned above, we also went to Ximending, Shilin, Taipei 101 etc. Seriously, I think Ximending and Shilin are definitely over-rated!! Ximending is not exactly a good place for shopping, I would prefer some other night markets over that. As for Shilin, it is DIRTY and although there are many stalls selling food, but they are all kinda repeated. Everywhere you walk is fried chicken cutlet or if not oyster eggs. Shilin is obviously 'glamourized' by the Taiwan variety shows. 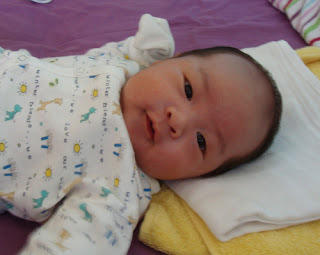 We also went to the Lin Zhi center. After almost half an hour of hard sell from the salesman, we bought a box of Lin Zhi that costs us nearly S$500, we will try and see if it really works like what he claimed. 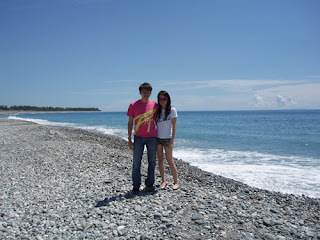 Oh yes, we also went to a don't-know-what-beach, quite nice though. I sat by the beach for a glass of ice mocha. 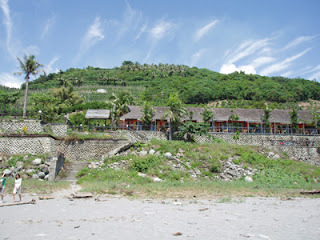 It is refreshing, this place is perfect for retirees. 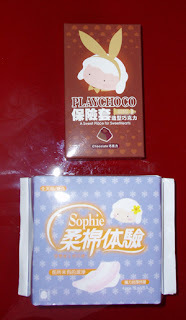 Bought some interesting chocolates... There's also chocolates mould like breasts and handiplus. Although shopping is not as shiok as what we thought, we still spent around 2k in shopping, buying local snacks and dinners. 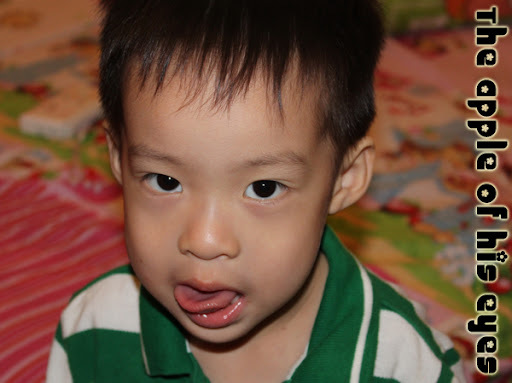 Kevin was saying he is not going back to Taiwan, he will consider a 3D2N free and easy Taipei Trip just for fun. Me? I rather go somewhere else.